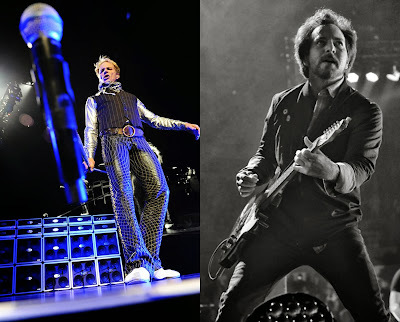 Van Halen and Pearl Jam took home top honors in the 2013 hennemusic Rock News Awards, hennemusic.com announced Friday. The 4th annual event saw Van Halen pick up their third straight Rock News Artist Of The Year award, while Pearl Jam delivered the Rock News Story Of The Year. The hennemusic Rock News Awards are determined by music fans: winners are based on the combined total page views of the top 50 hennemusic rock news stories of the past twelve months. The Top 10 in both categories were counted down over the past two weeks. A news service dedicated to providing music fans with an accurate, timely and reliable source for music news, hennemusic serves as a trusted source for rock fans who need updated information on their favorite artists and events. hennemusic will celebrate its 4th anniversary on February 1.